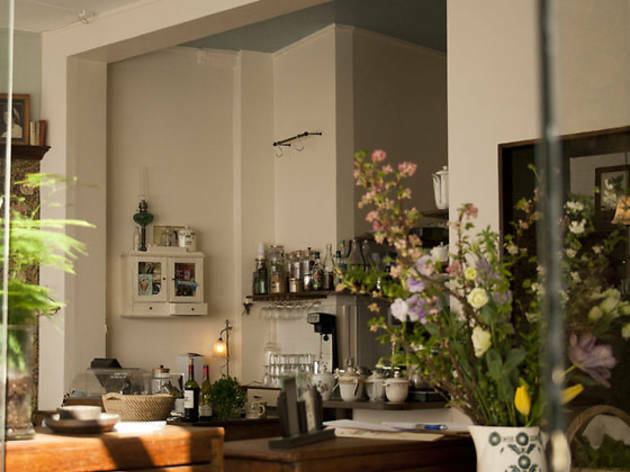 Another badly-kept secret, in just a few months La Chambre aux Oiseaux has become one of the most popular restaurants on the Canal Saint-Martin, to the point where you need to reserve a week ahead for their Sunday brunch. 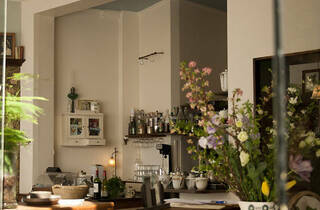 So is Hervé Labarre and Léna Balacco’s little canteen worth the hype? We think so. We like the grandmother’s sitting room décor, with old-school porcelain and flowered wallpaper and big armchairs. Then there’s the cooking, generous and full of flavour. For €19, the brunch brings you a selection of crusty breads, fresh fruit juice and a hot drink, plus tabbouleh, turkey and cucumber salad, boiled eggs and a sweet, creamy tiramisu with red berries. The management have chosen to create a convivial space rather than trying to squeeze profit out of every inch. Which is just as well, as the place has become the favourite hangout for hip Parisian bloggers – it’s exactly the sort of place they like to sit around and write about.